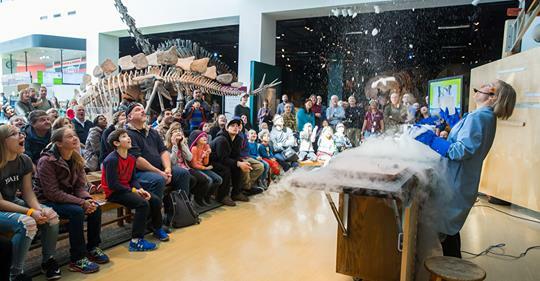 If you’re a federal employee on furlough due to the government shutdown, right now you can get free admission to the Science Museum of Minnesota – just show your valid government ID at the Box Office. Not a federal employee? Don’t forget that kids get free admission with full-priced adult admission as part of Science Fusion on Saturdays through February 2nd!